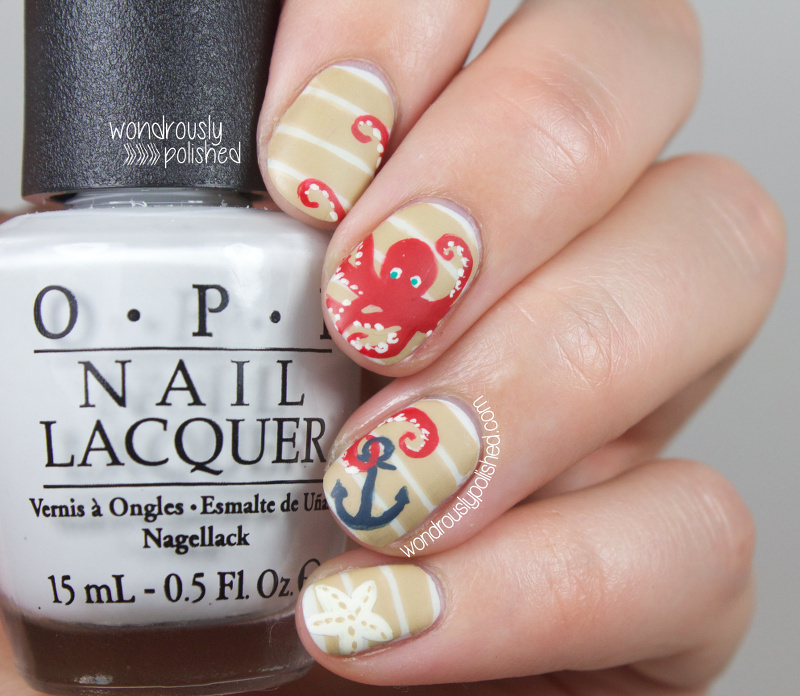 With this being my first nautical look, I went back and forth on doing what might be considered the 'traditional' nautical inspired mani for today. 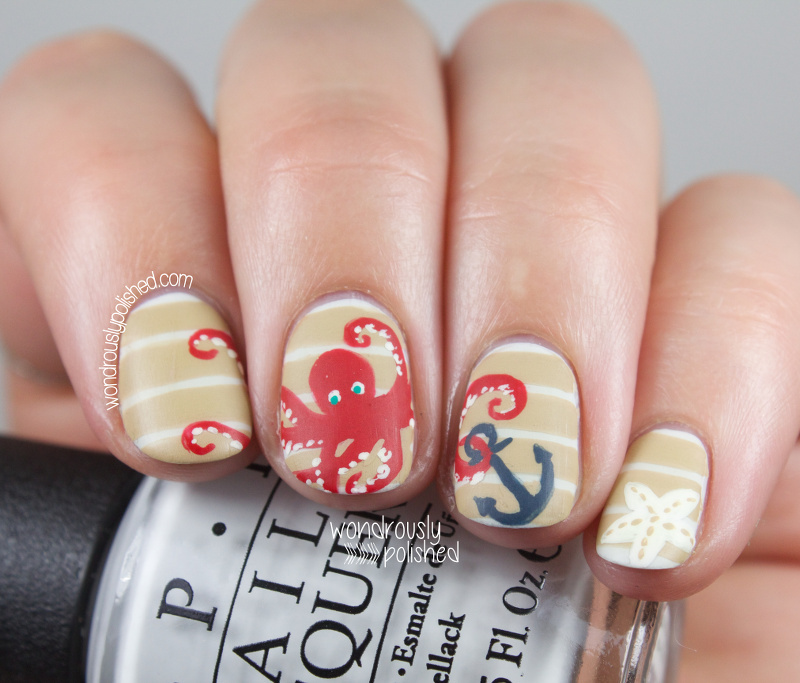 I love how all those manis look, but I wanted to put my own twist on the classic stripes and anchor look - so I added an octopus! 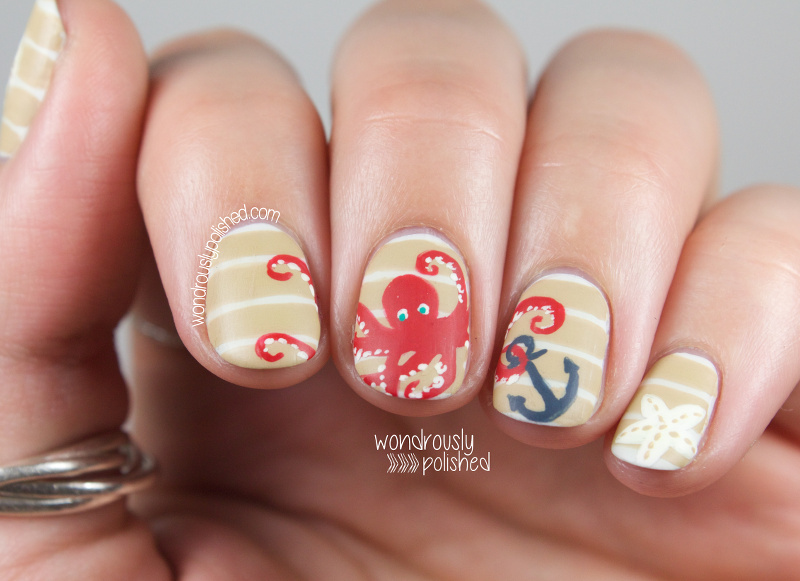 This was one of those nail art looks that I was convinced was terrible the entire time I was painting it but ended up loving it. 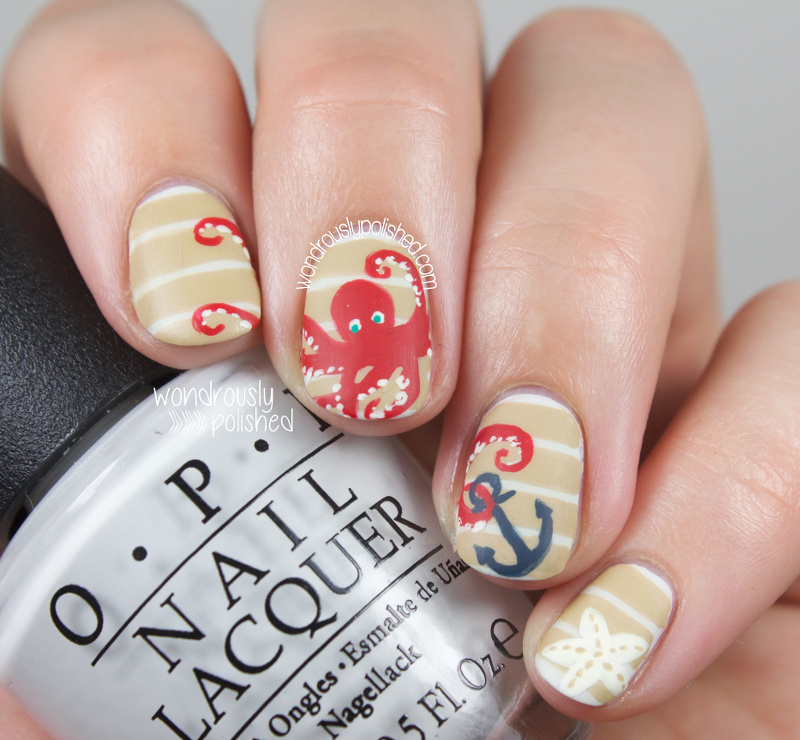 My initial thought was to do just the striped background and the octopus (let's name him! What shall we call him? Fred? Fred! ), but it was feeling a bit empty. 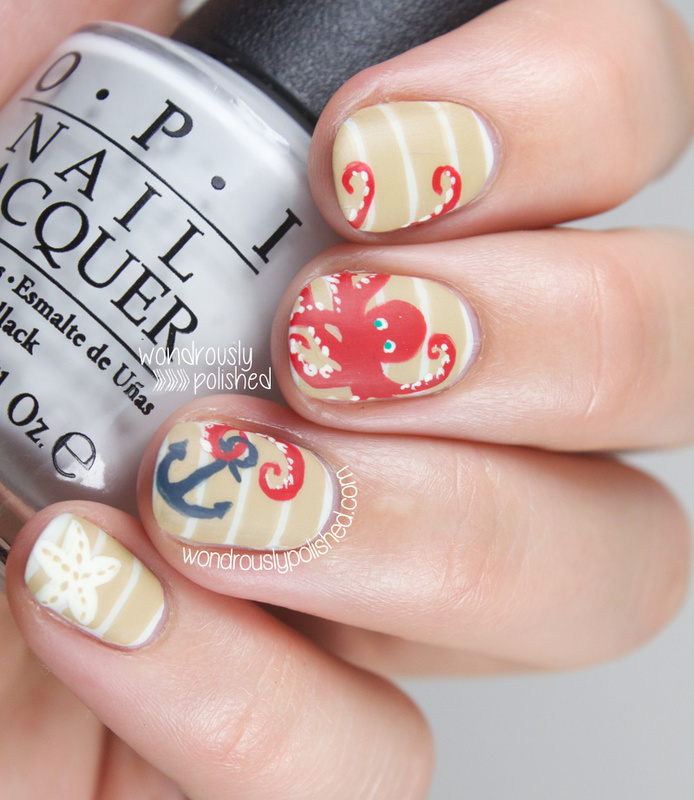 The anchor and starfish were a bit of an after thought but I think they pull the look together and make this more whimsical and fun. 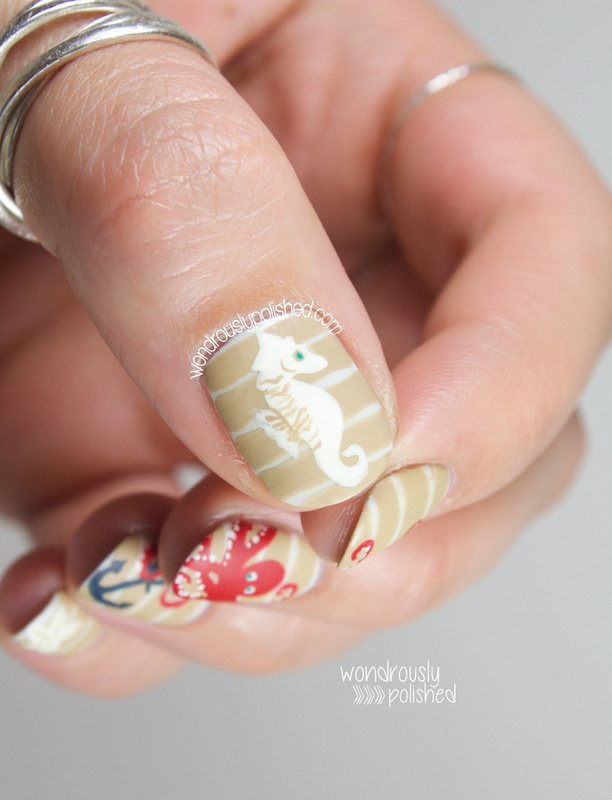 I also ended up adding a seahorse on my thumb! 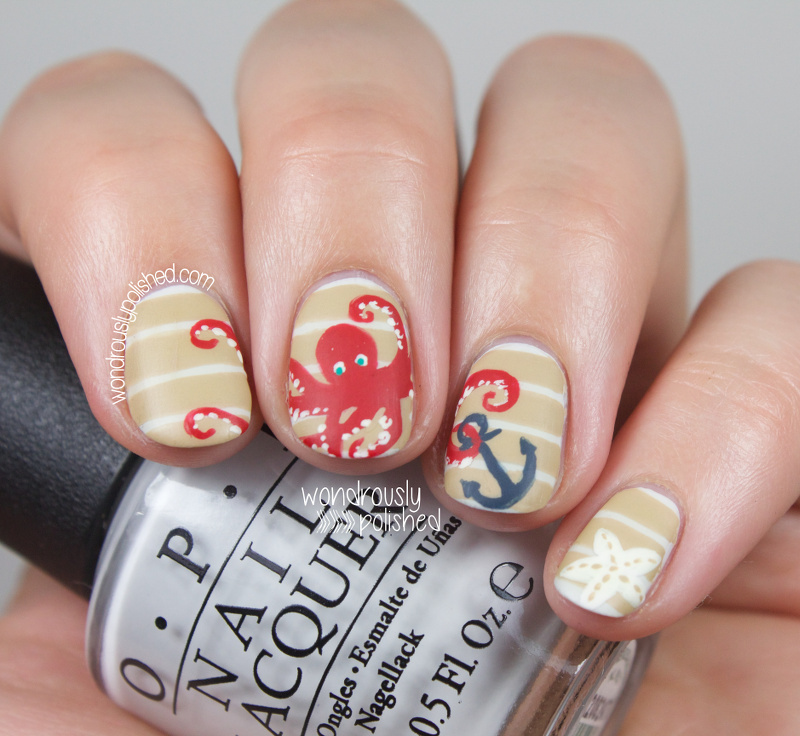 I used a base of OPI's My Boyfriend Scales Walls and acrylic paints for the nail art. 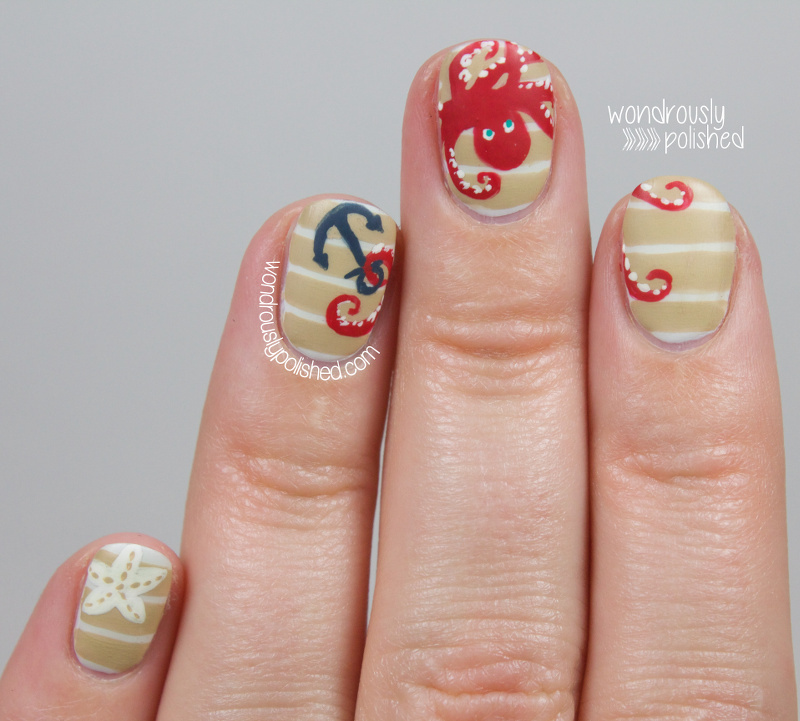 The stripes were free handed with tan acrylic paint which made painting them super easy and with minimal wonkiness. Acrylic paint in general is much easier to work with for detailed work like this. 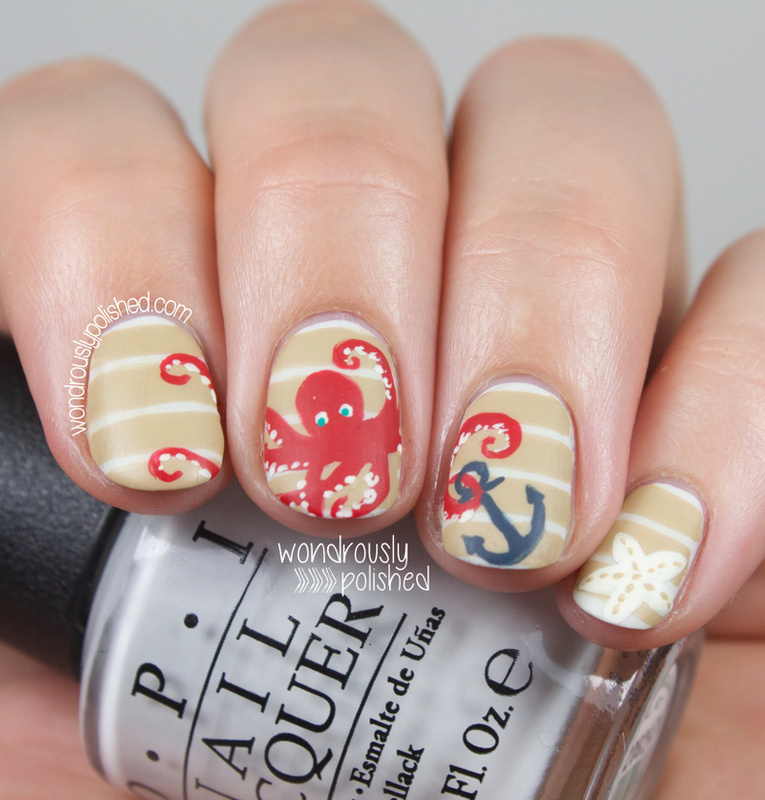 What do you think of my take on nautical? Be sure to check out the inlinkz below to see what everyone else has done this week! Follow along with The Beauty Buffs on Facebook and Instagram as well!